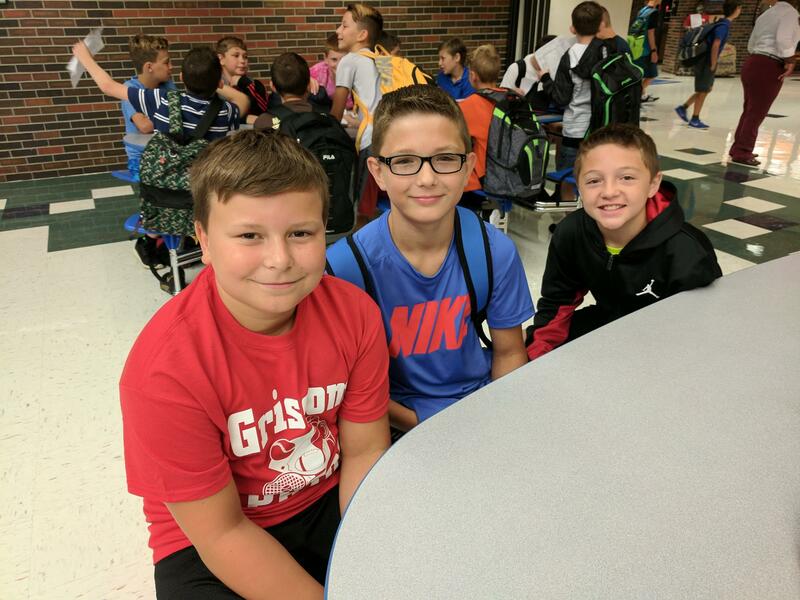 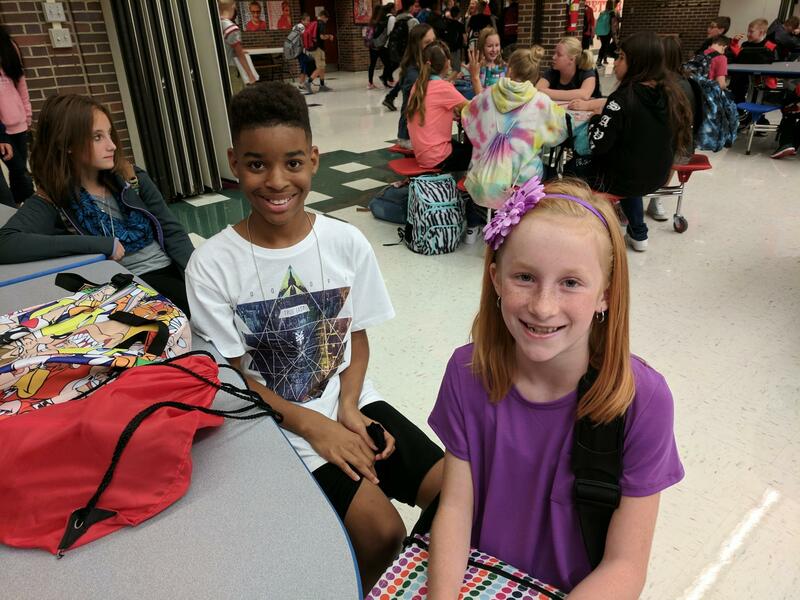 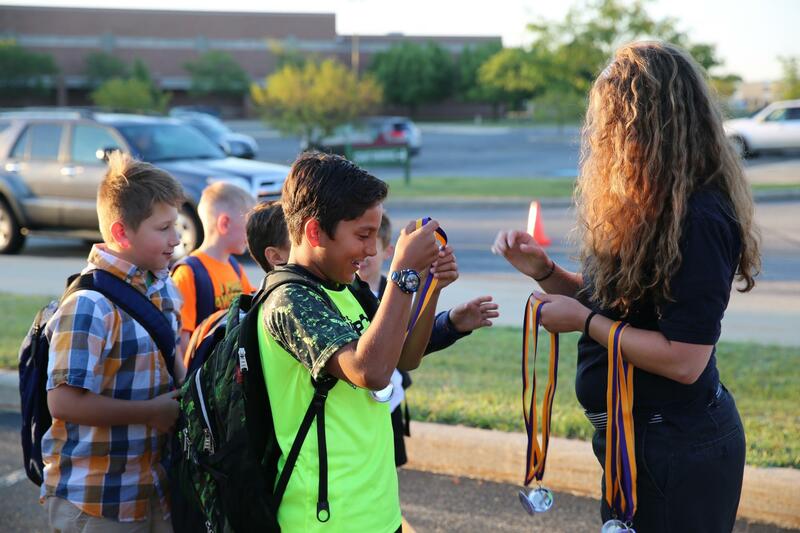 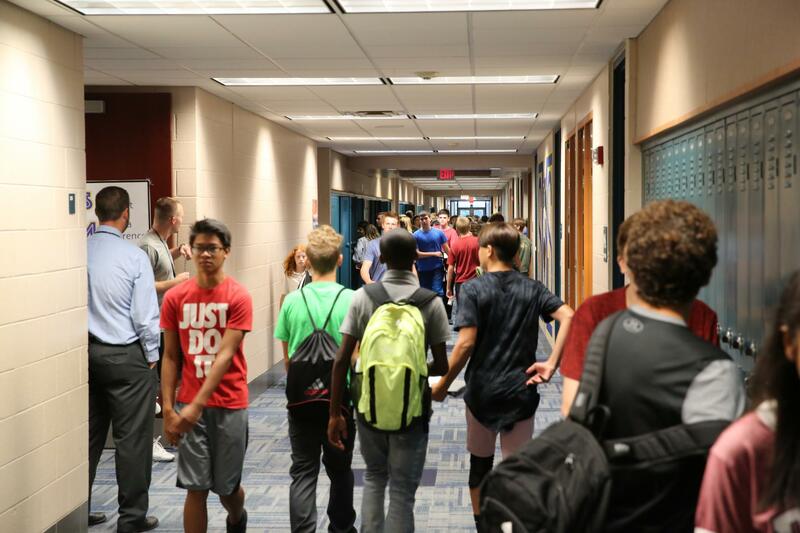 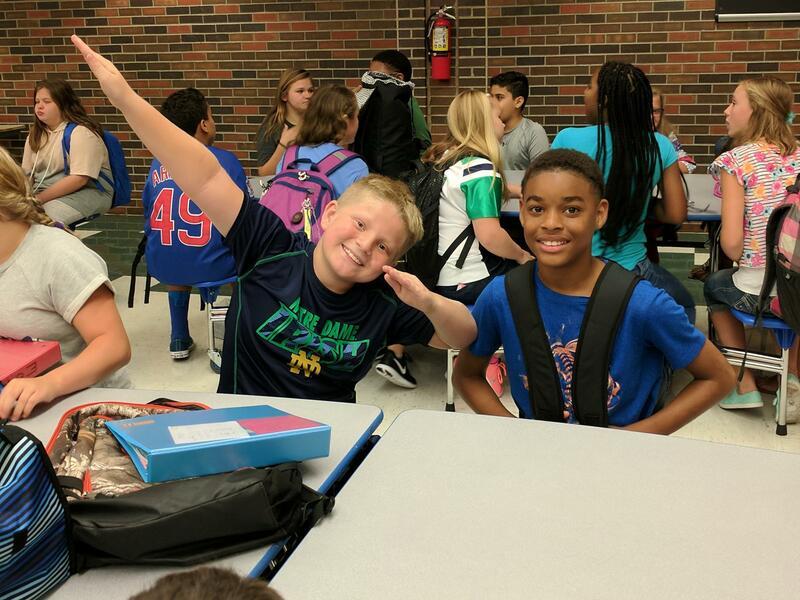 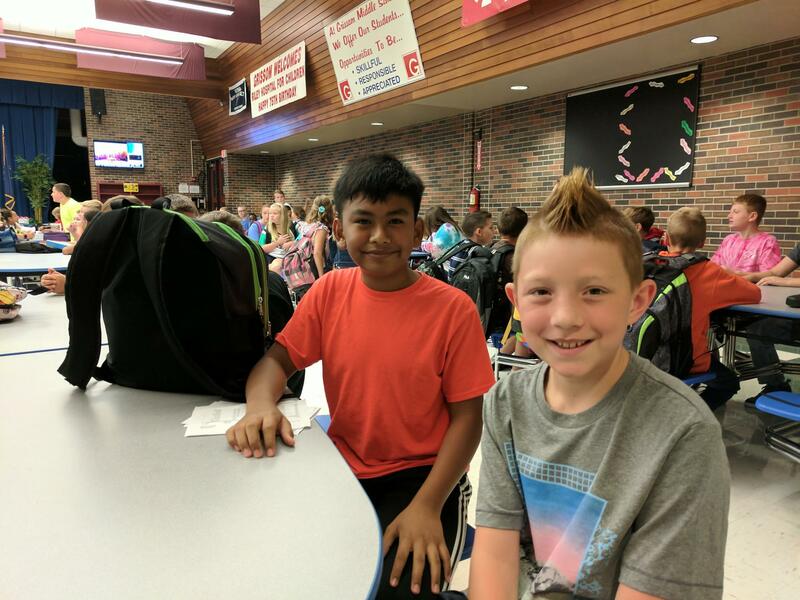 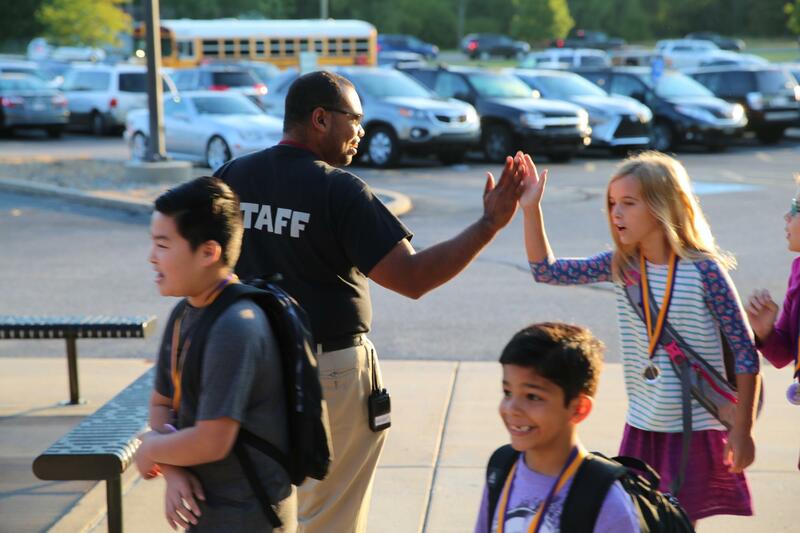 More than 10,000 Penn-Harris-Madison students in grades 1-12 headed back to school today (Wednesday, August 23, 2017) with tons of excitement for another year of #PHMExcellence! 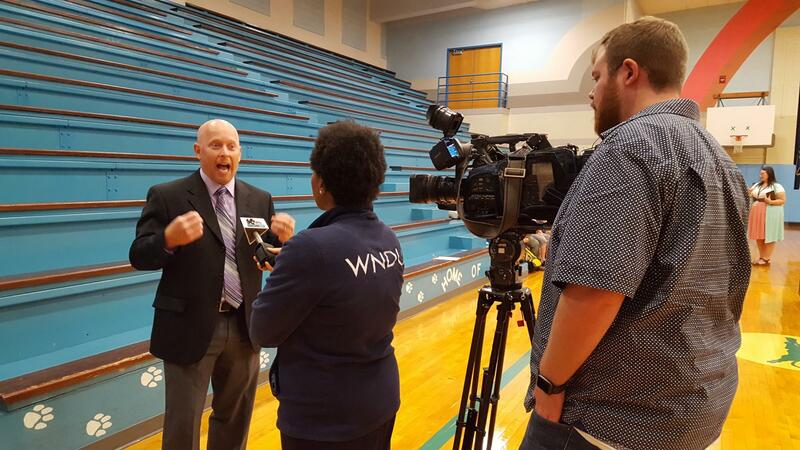 Superintendent Dr. Jerry Thacker and new Penn High School Principal Sean Galiher got an early start to the day doing live interviews on the early morning news programs of South Bend’s three television stations, starting at 5:00 a.m.! 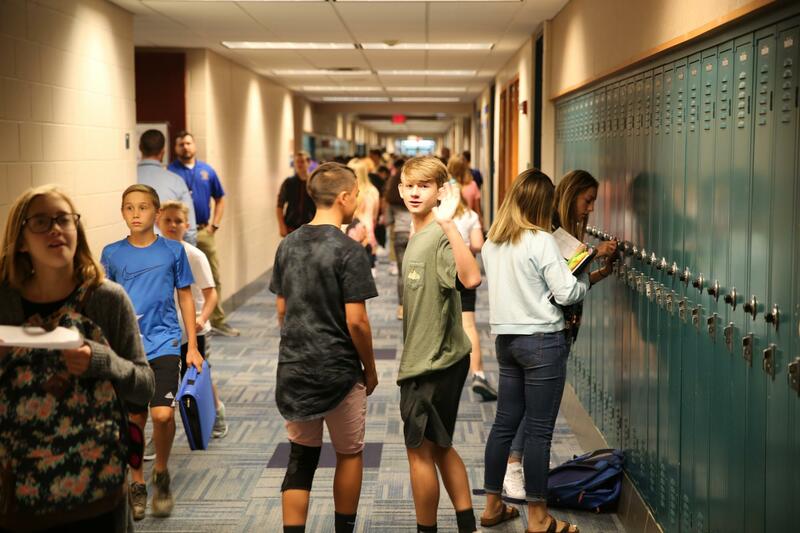 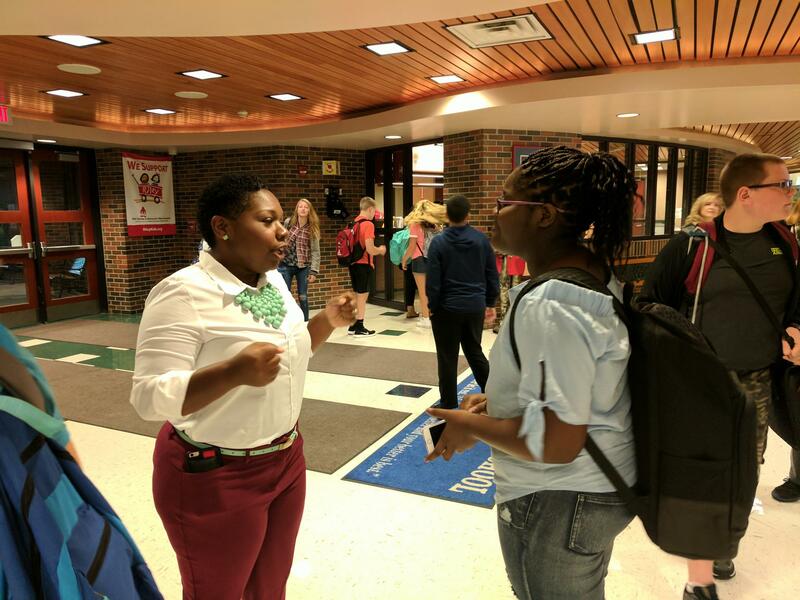 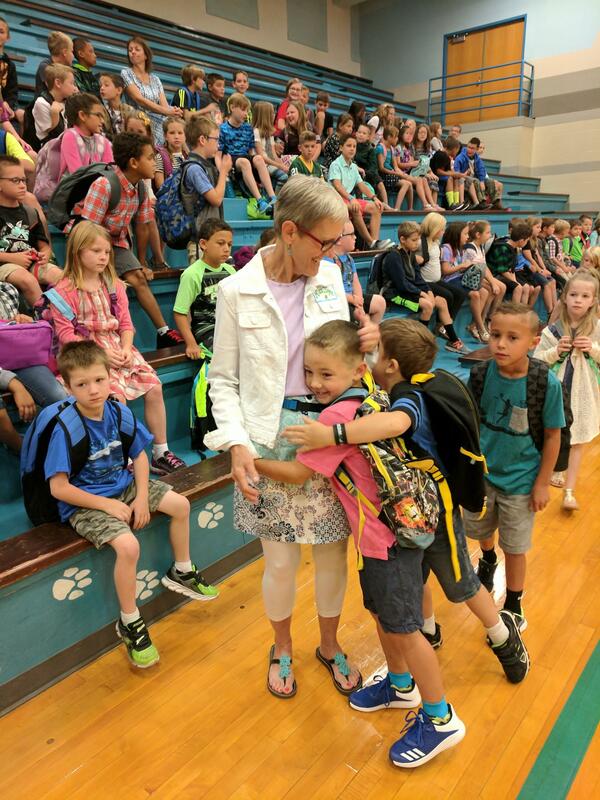 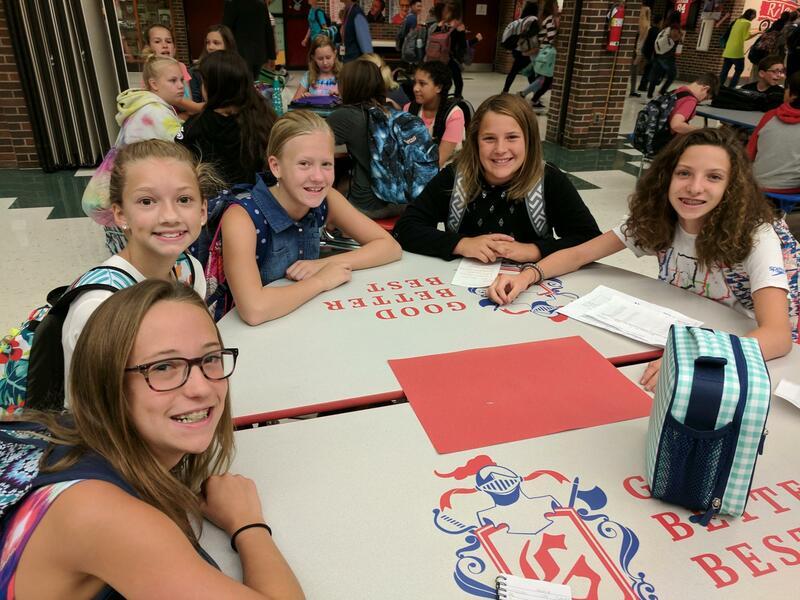 With student enrollment up this year to about 10,800 students, Dr. Thacker talked with excitement about the new school year. 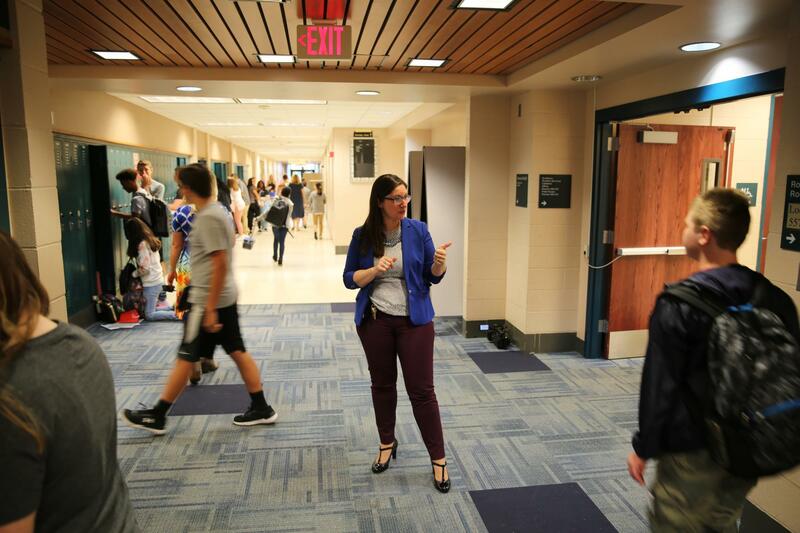 With P-H-M’s successful 1:1 Technology Initiative for all students in the District, P-H-M is in a great position to empower teachers with new technology and software that will help them utilize student formative assessment data more efficiently, which will help create a more personalized path unique for each student. 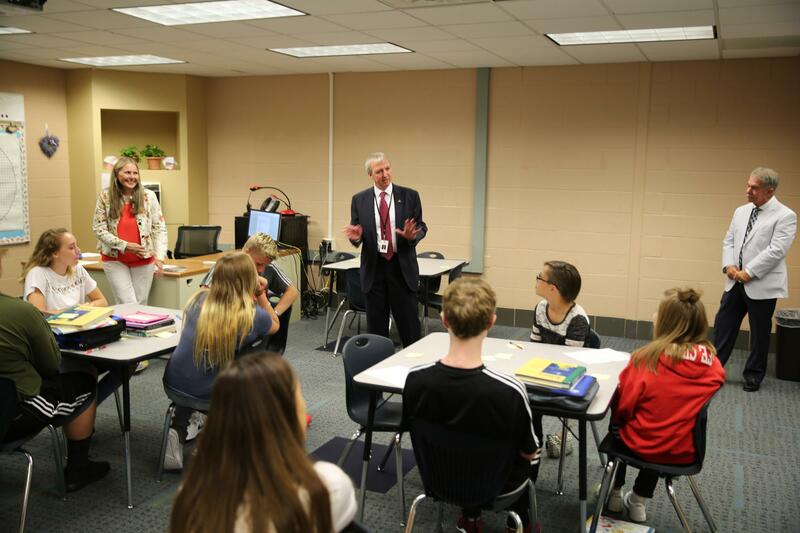 Dr. Thacker also talked about how the District has recently created teacher leadership teams in all 11 elementary schools to increase leadership capacity and promote a renewed focus on high quality instructional practices. 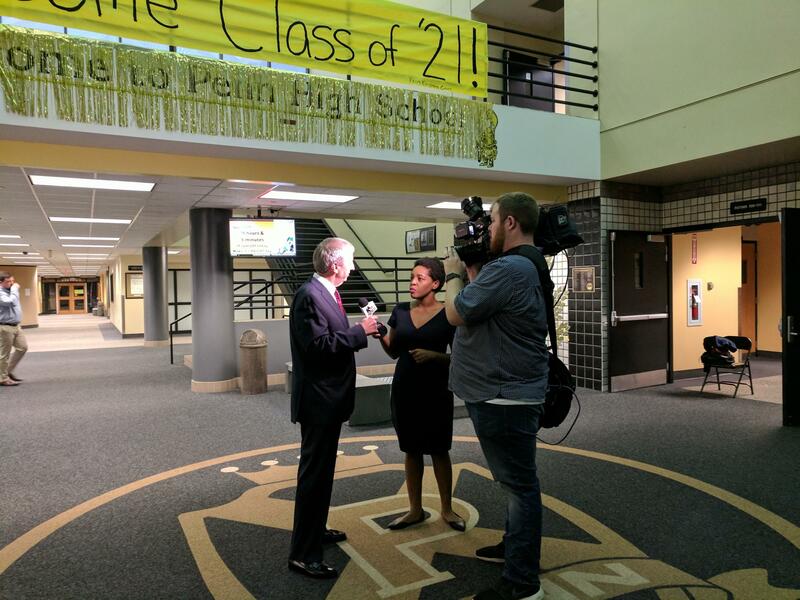 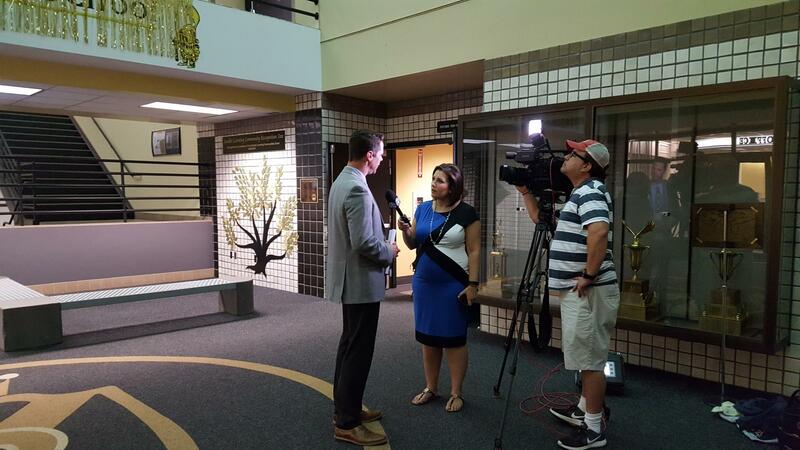 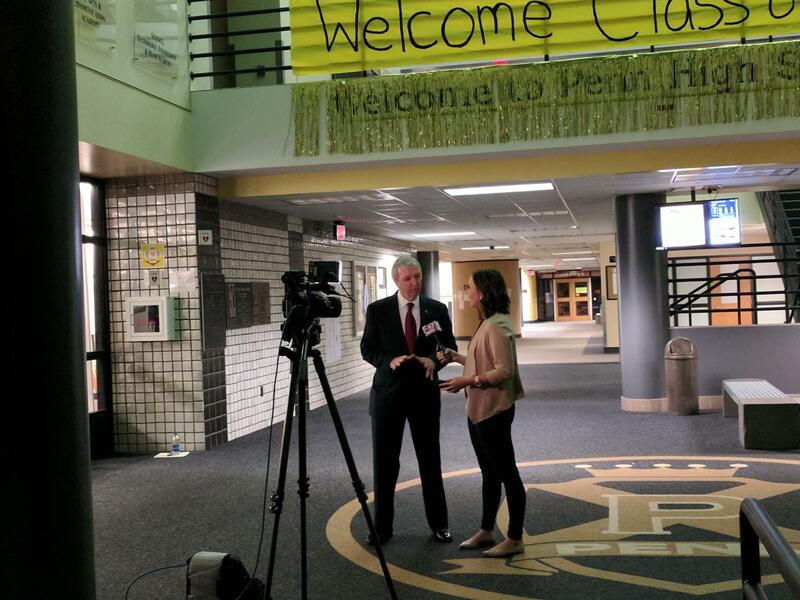 Principal Galiher talked to the news stations about Penn High School’s 97% graduation rate, with 45% of Penn students graduating with Honors and 51% graduate with a Core 40 degree. 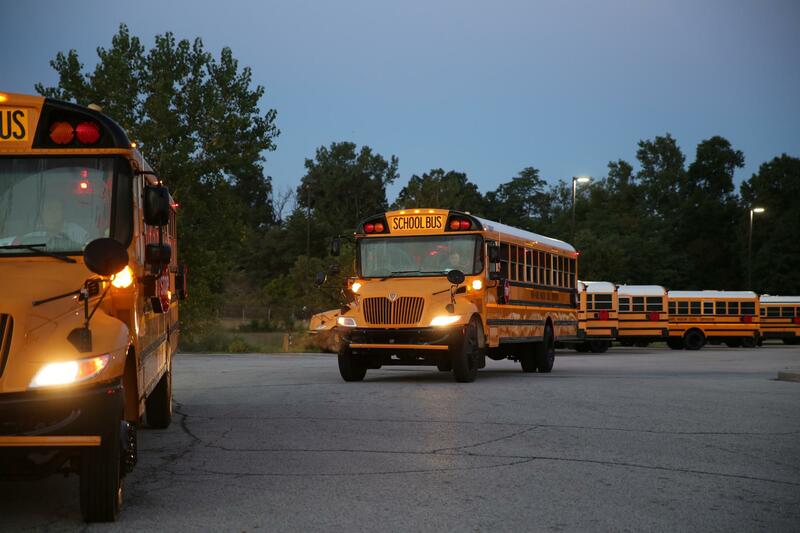 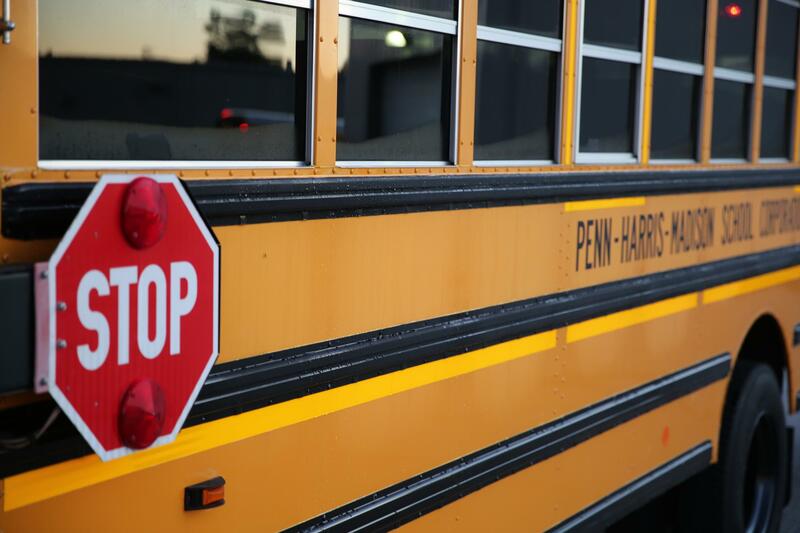 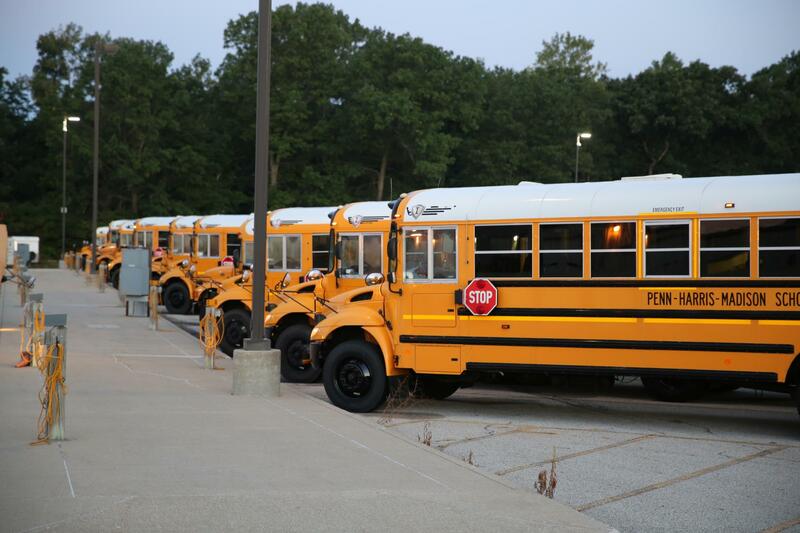 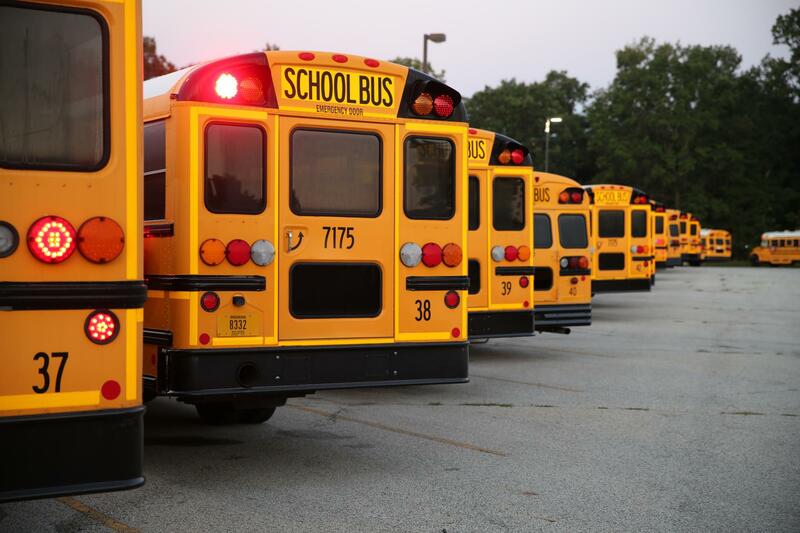 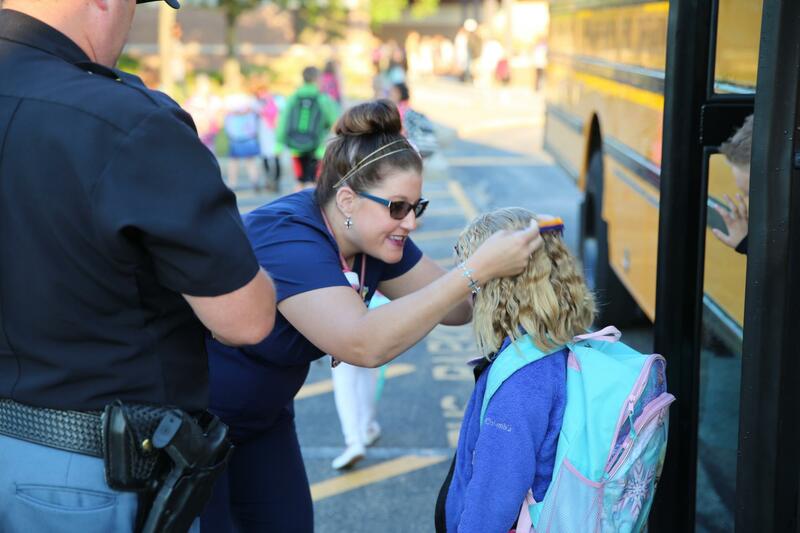 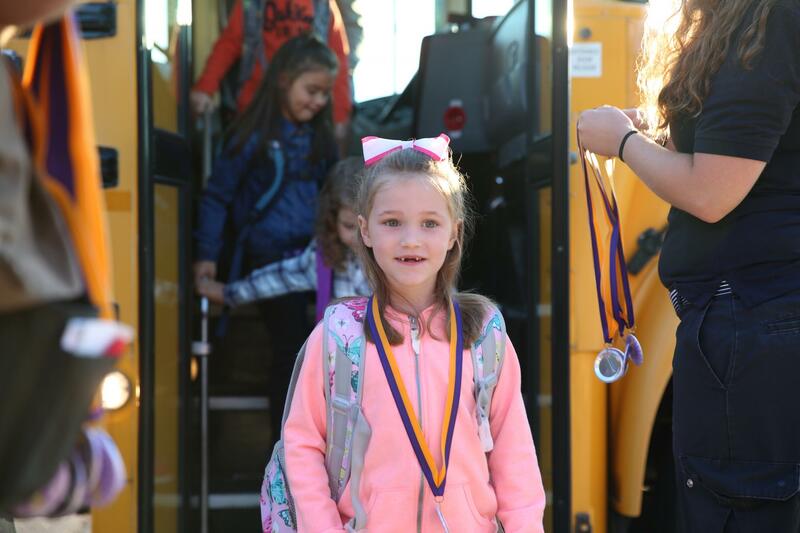 Over at P-H-M Transportation Headquarters, approximately 139 buses started rolling out about 7:00 a.m. to pick up and transport students across the District to our 15 schools (11 elementary and three middle schools, and Penn High School). 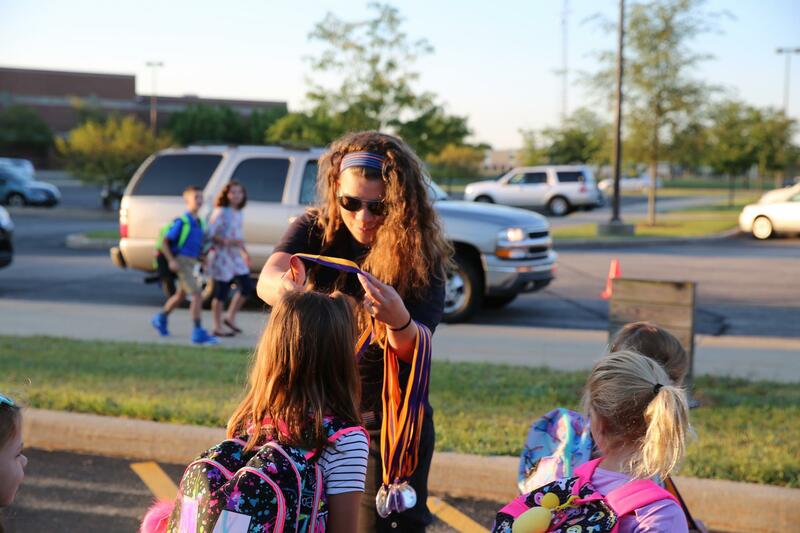 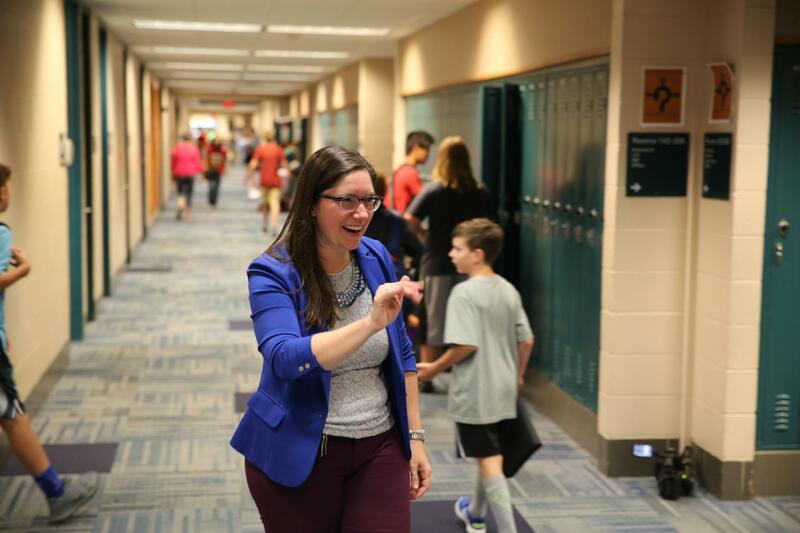 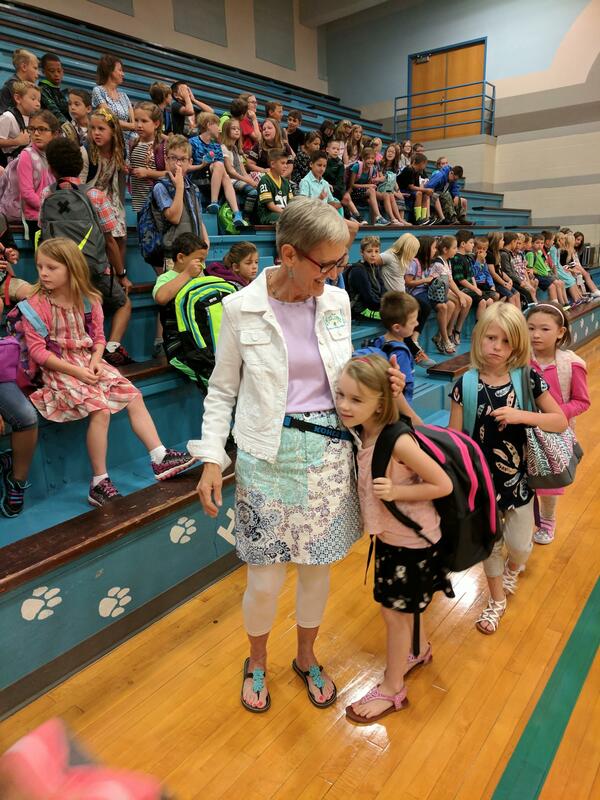 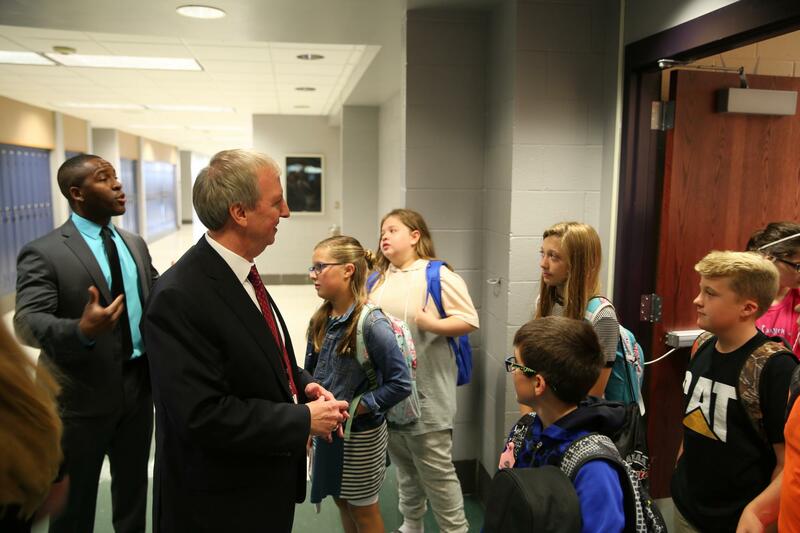 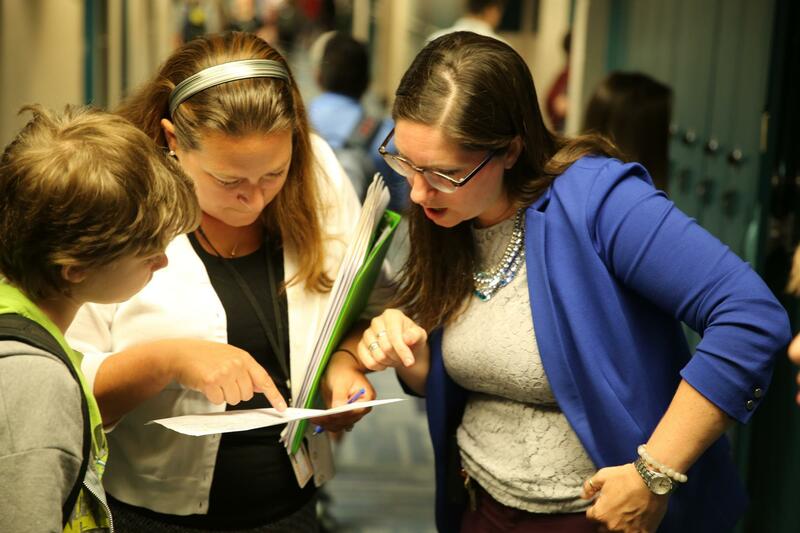 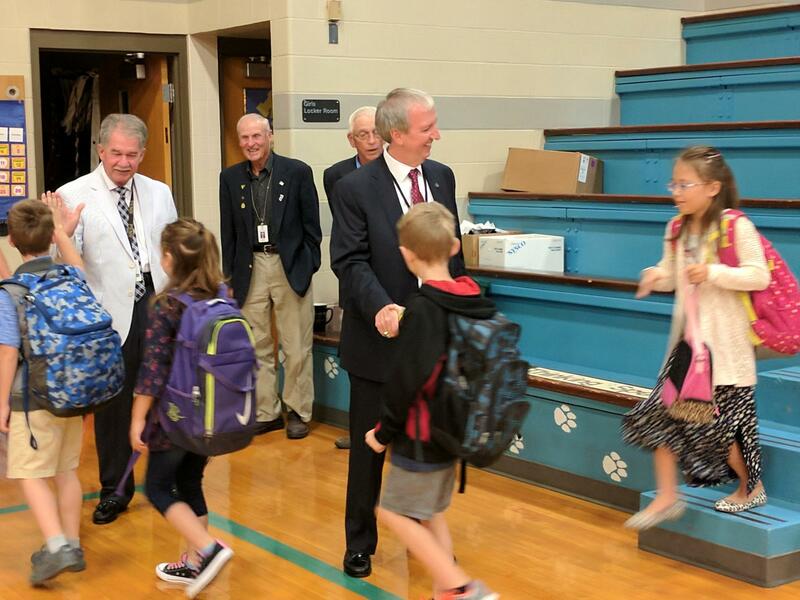 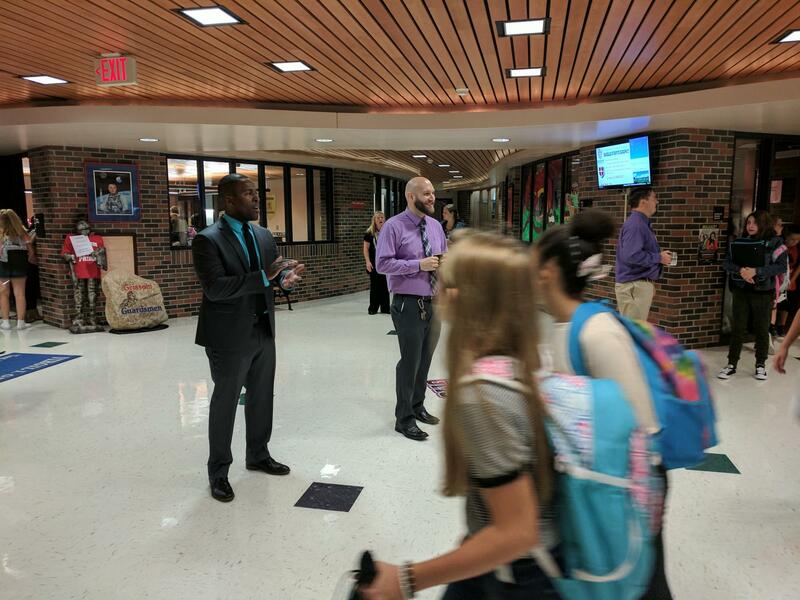 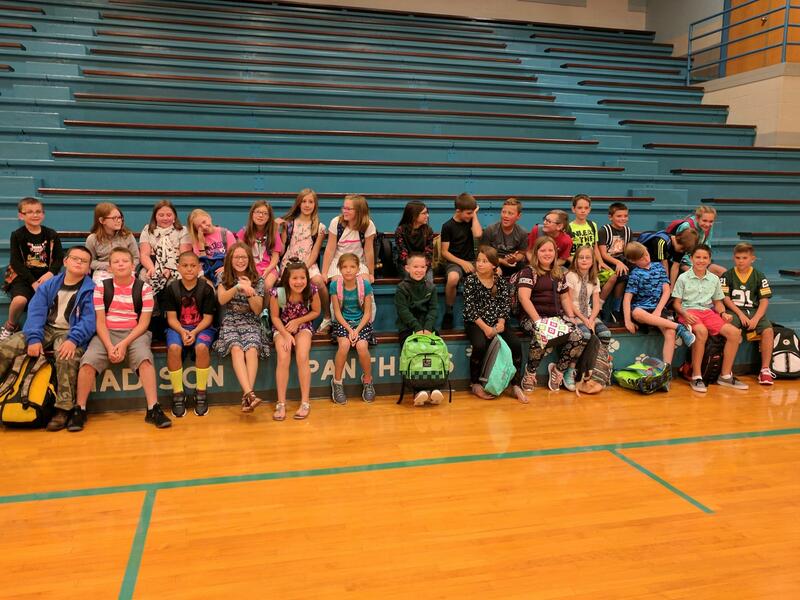 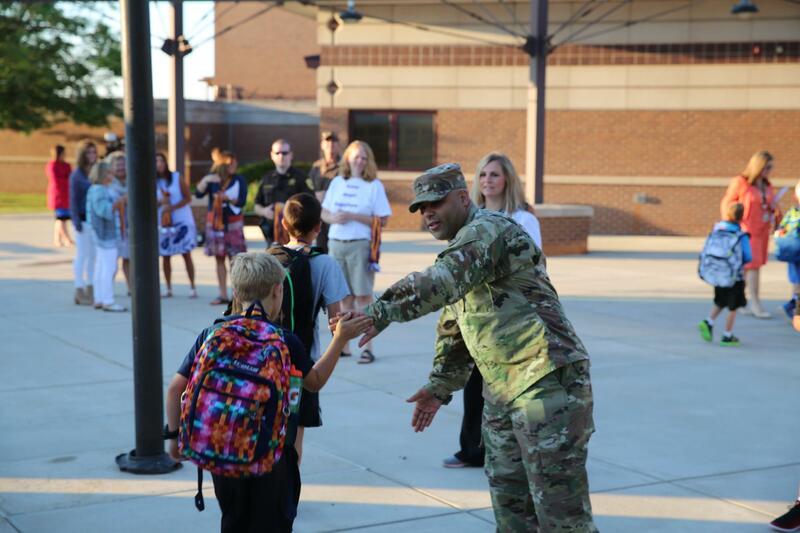 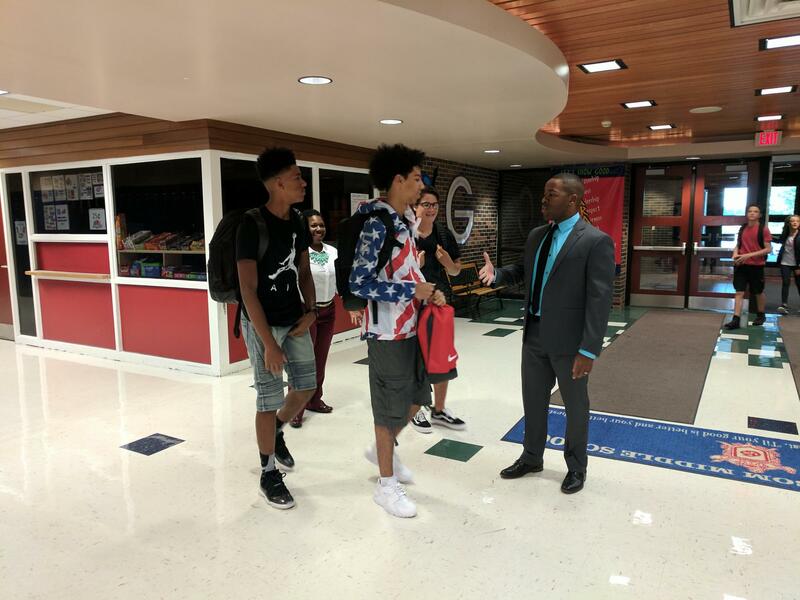 For the first three days of school, Dr. Thacker visits all 15 schools! 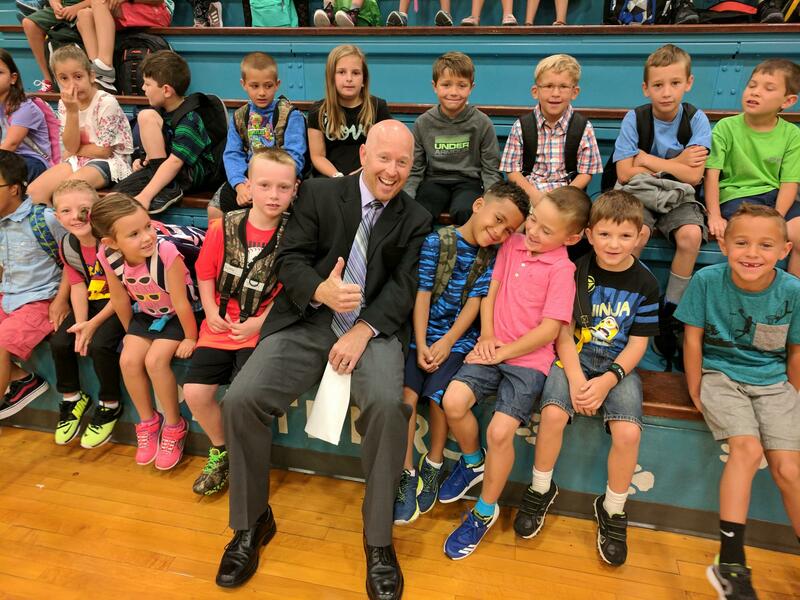 After leaving Penn High School this morning, his first stop was Madison Elementary to speak to students during their school assembly. 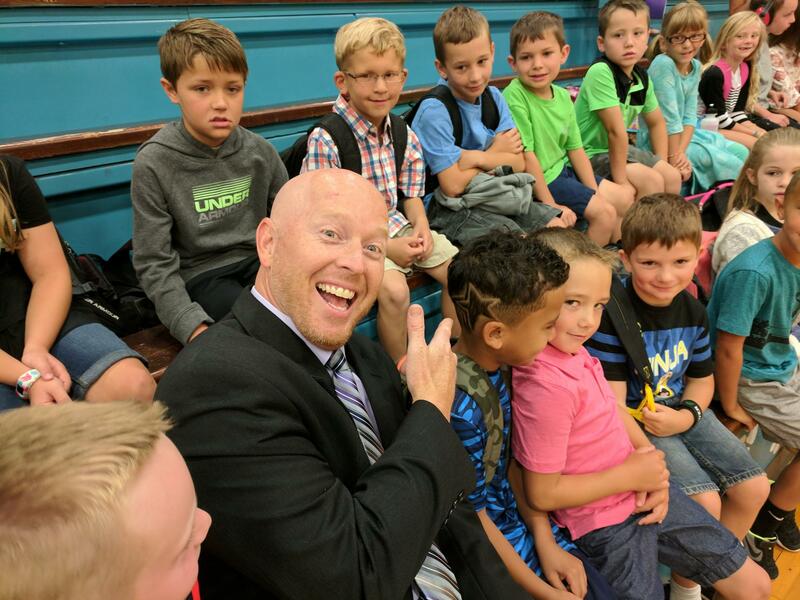 All the students got a kick out of hearing about Dr. Thacker’s teaching days at Madison. 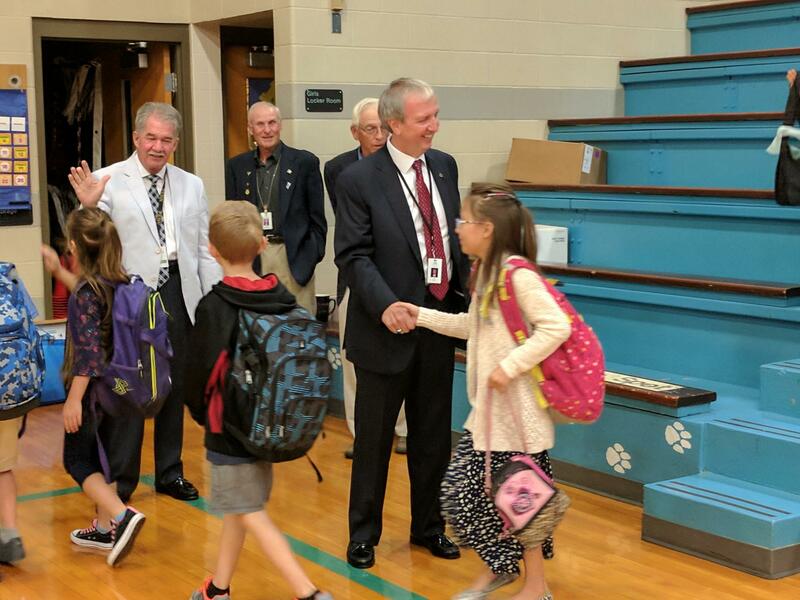 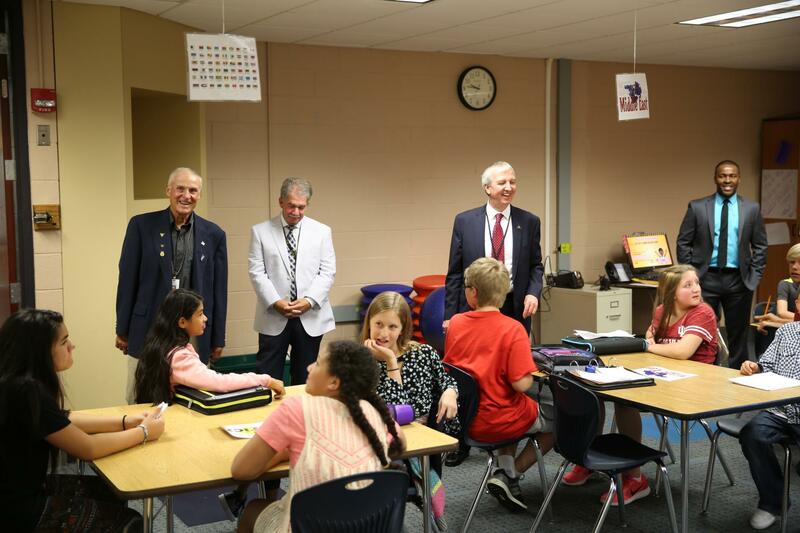 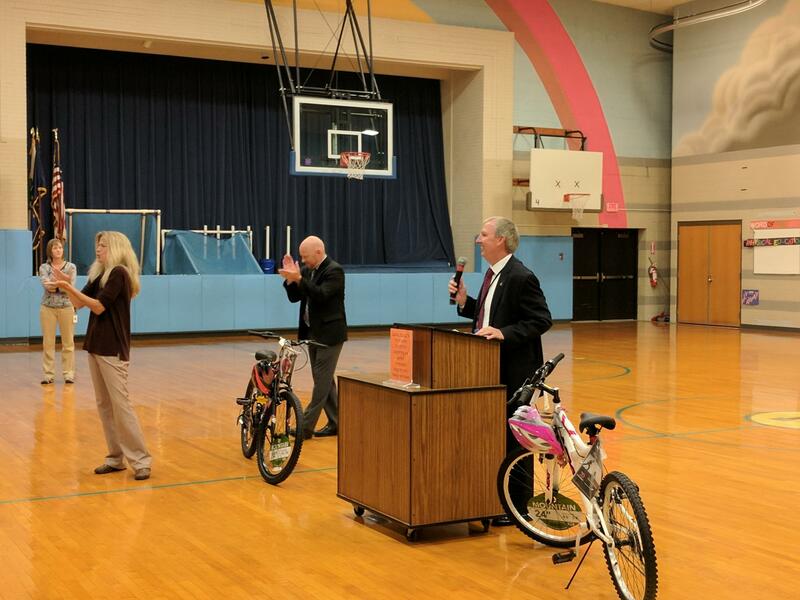 P-H-M Board Members Jim Garrett and Larry Beehler (a Madison student alum) joined Dr. Thacker for his school visits this morning. 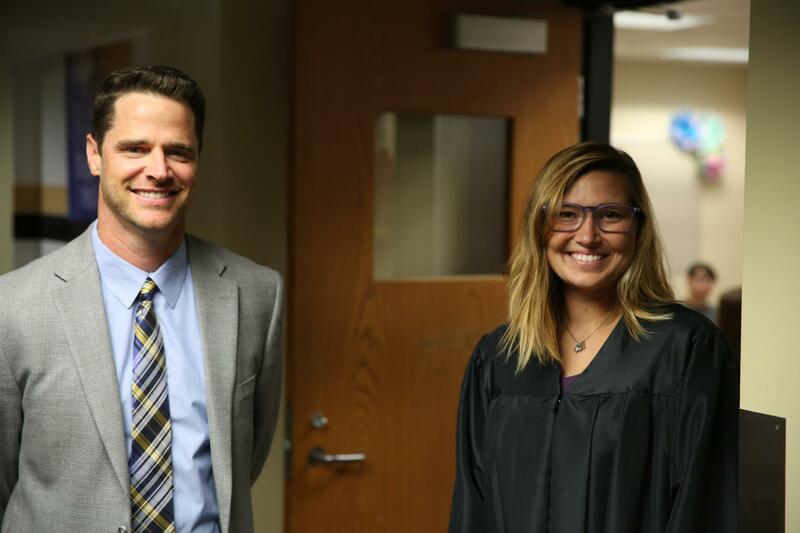 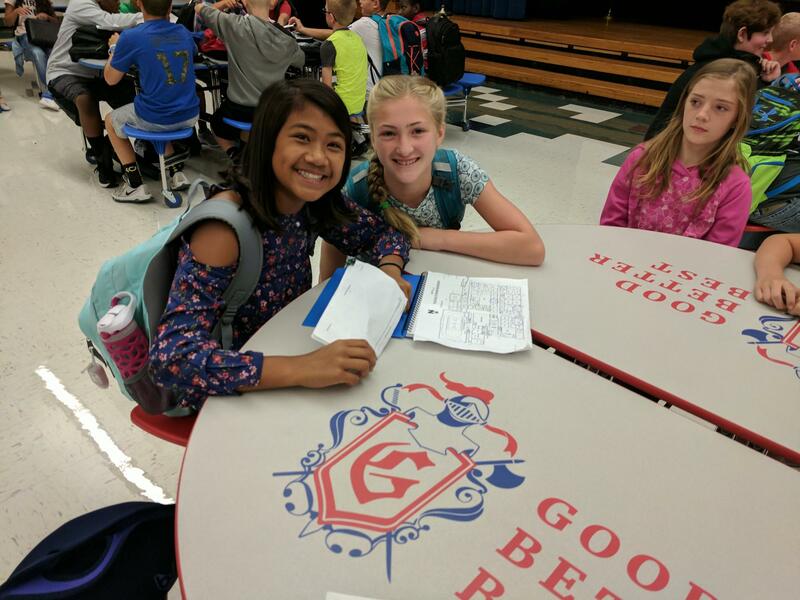 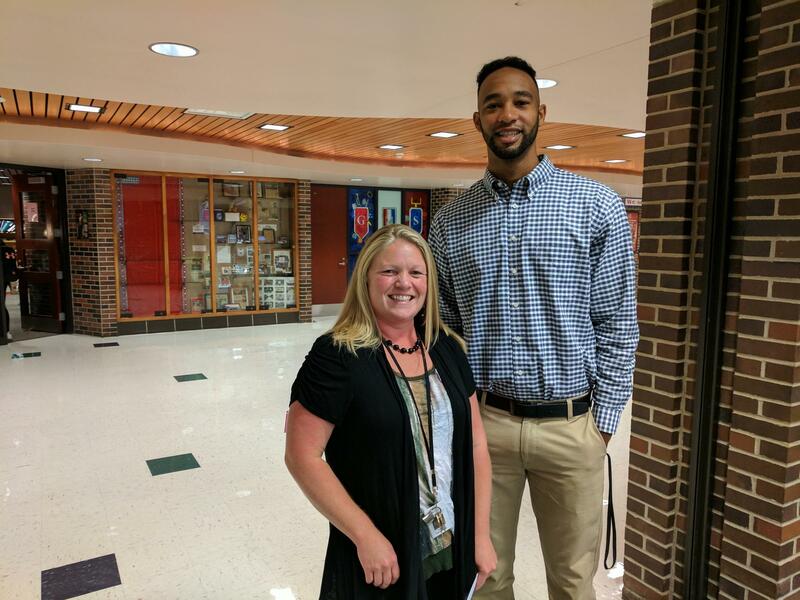 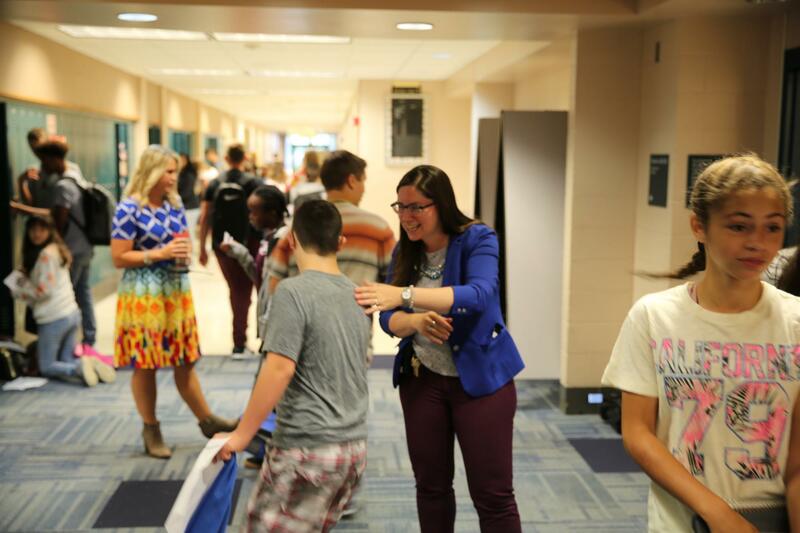 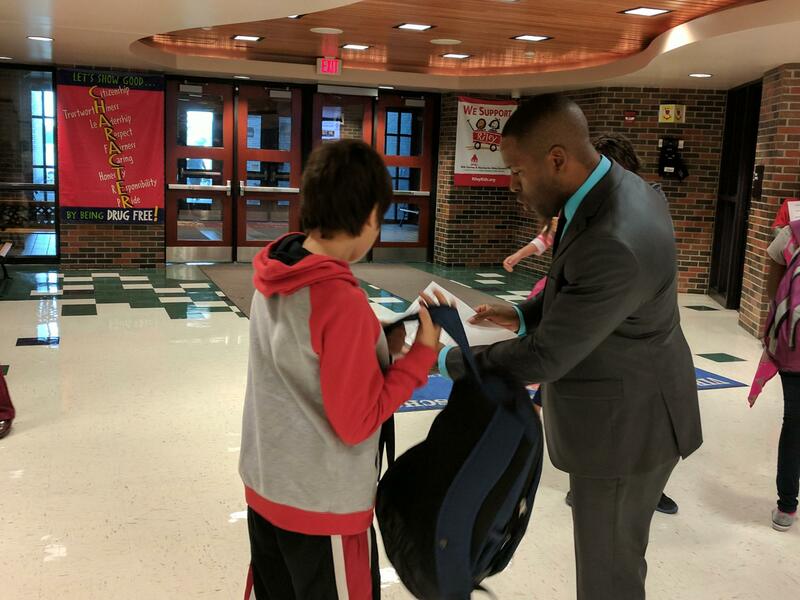 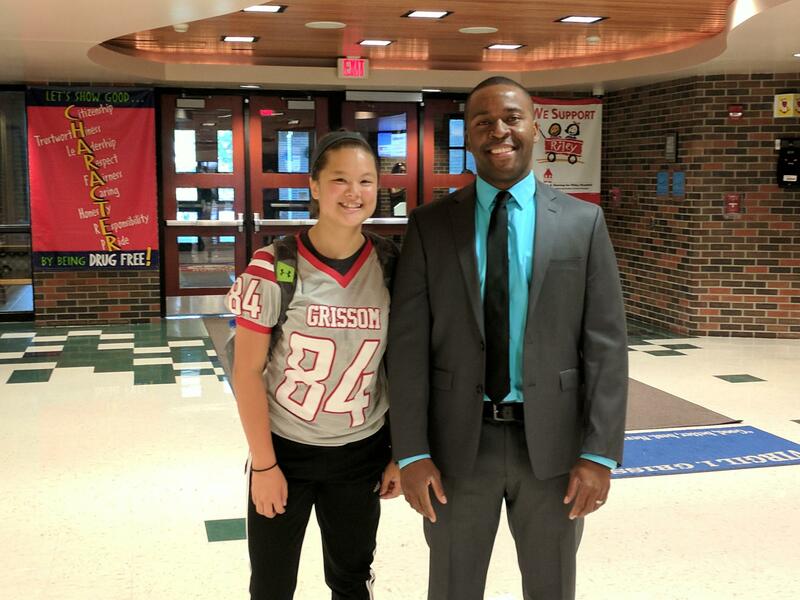 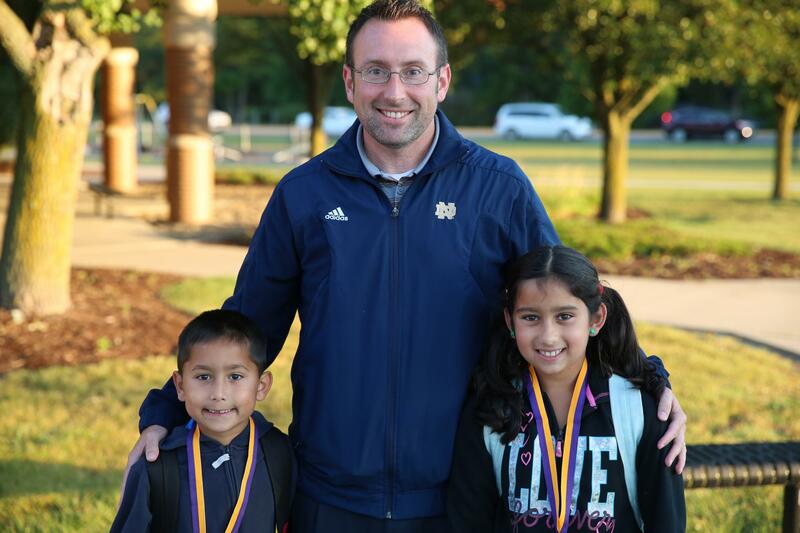 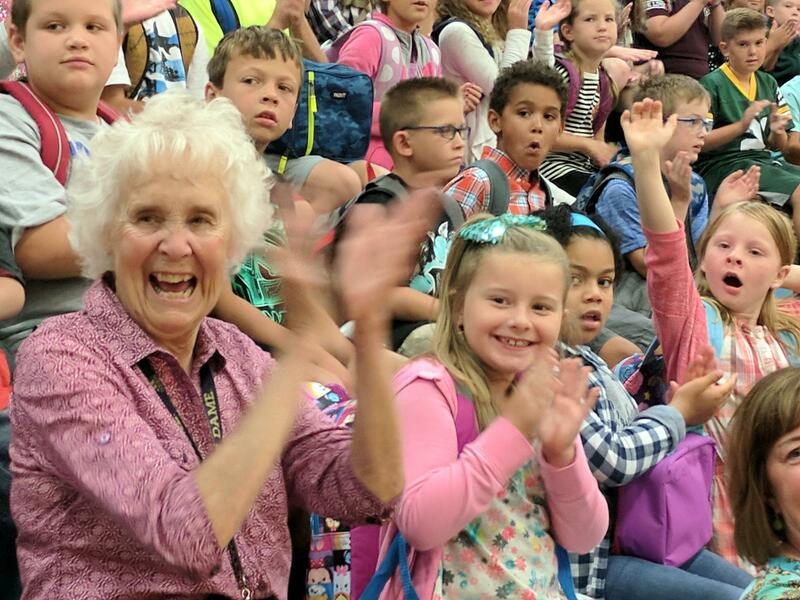 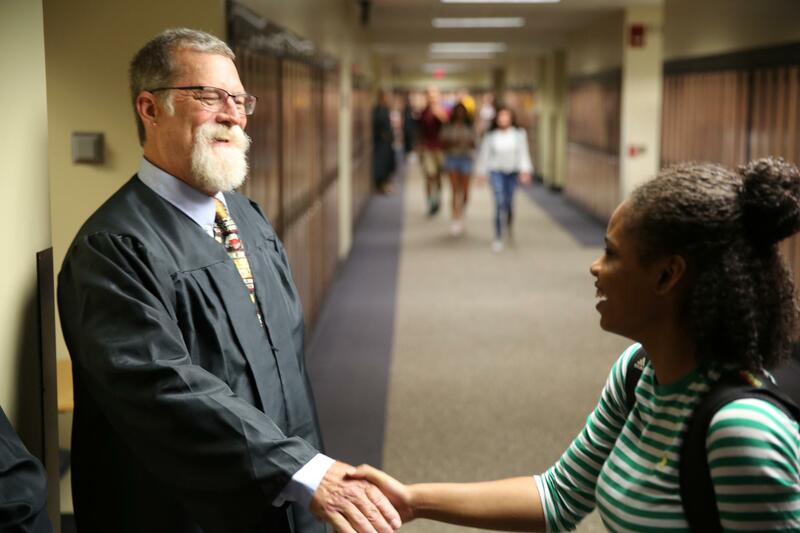 Kevin McMillen’s enthusiasm, Madison’s new principal, for the new year was contagious. 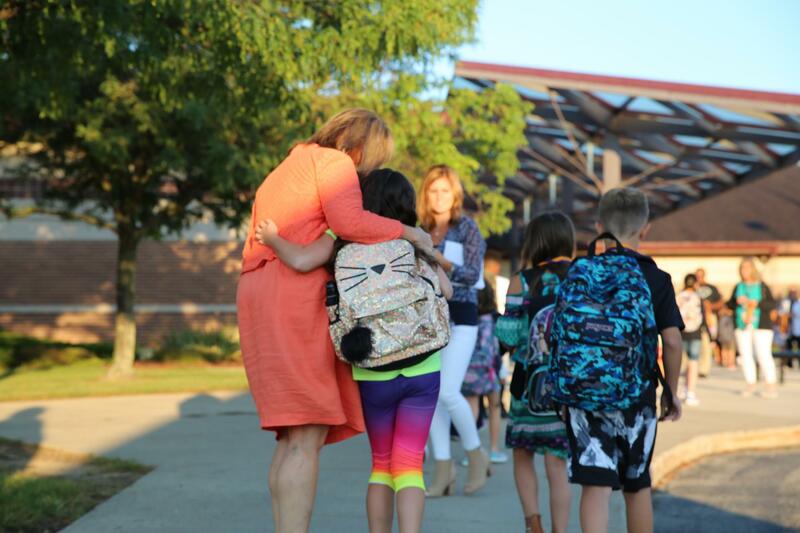 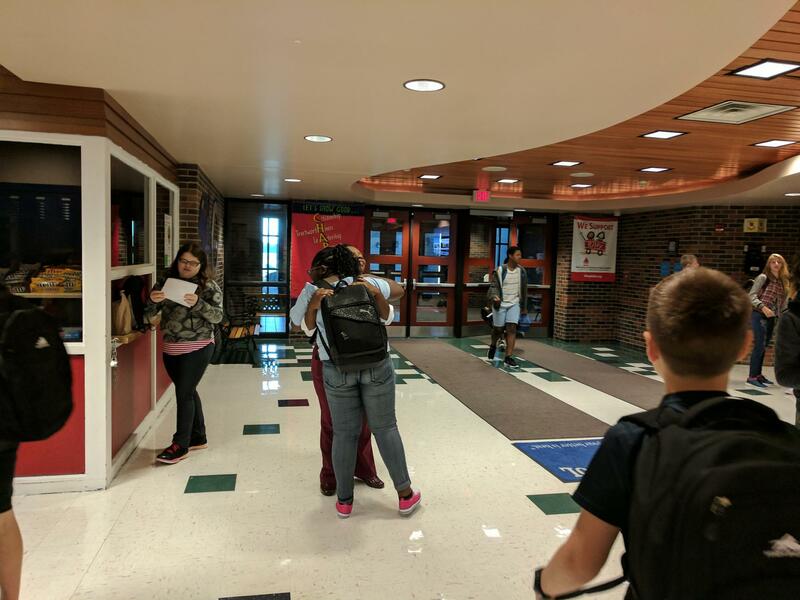 Students were so glad to be back at school they were hugging their teachers. 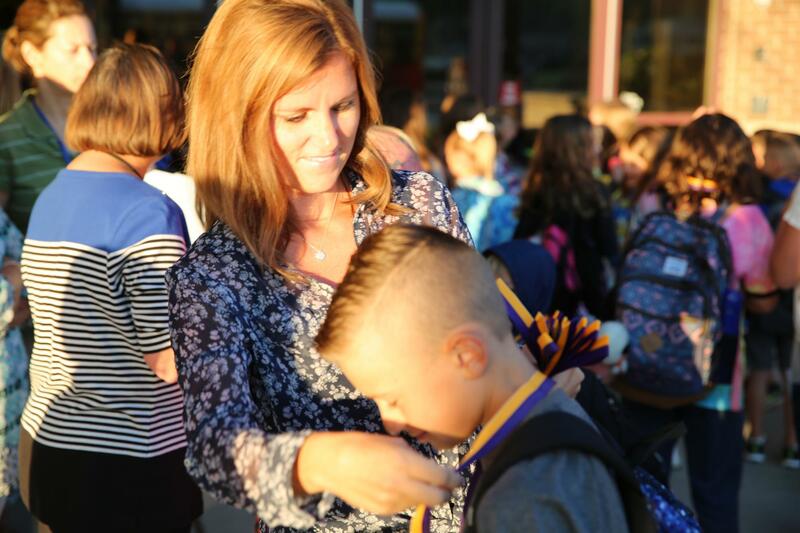 Over at Horizon Elementary, Principal Tressa Decker enlisted the help of parent volunteers to join Horizon teachers and staff to give students a “Heroes Welcome.” When students arrived at school, they were greeted by parents dressed in their work uniforms and were given "Be The Hero" medal. 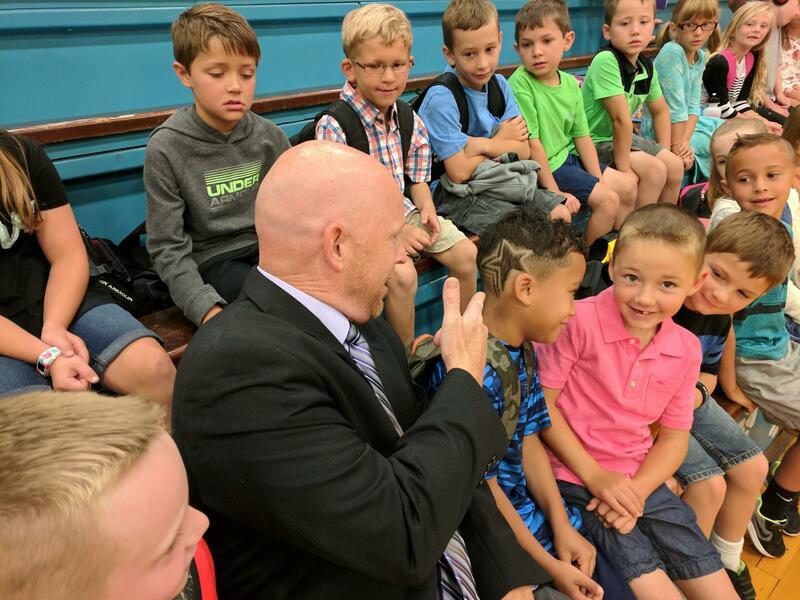 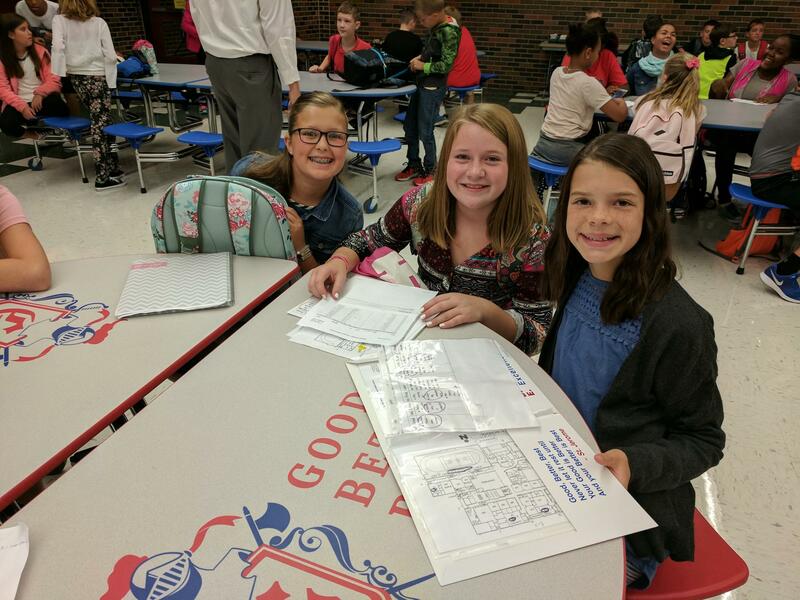 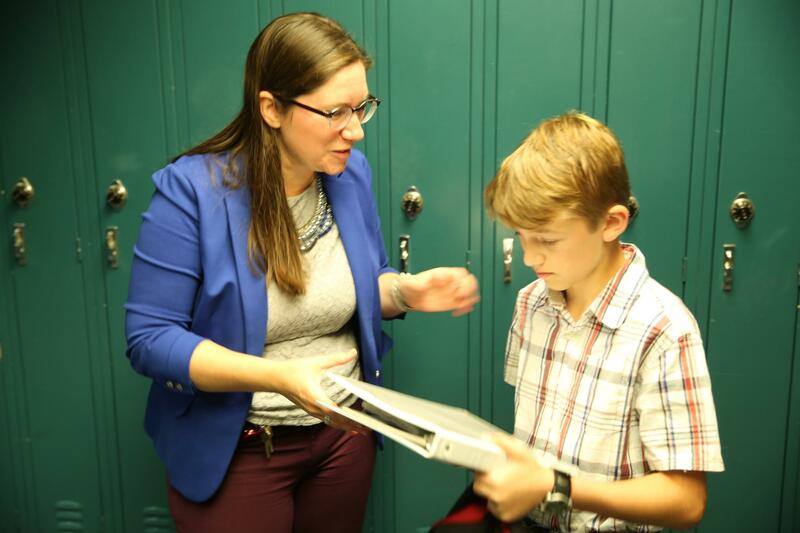 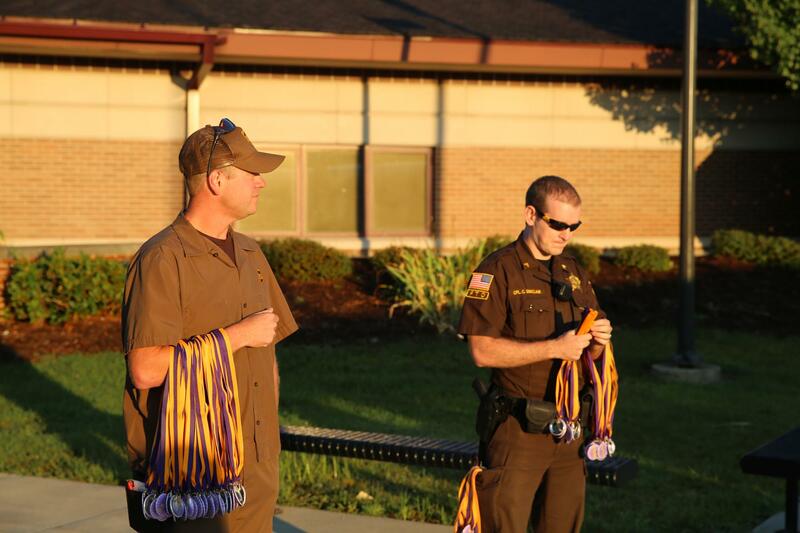 The goal … to inspire students to be the heroes we know they can be. 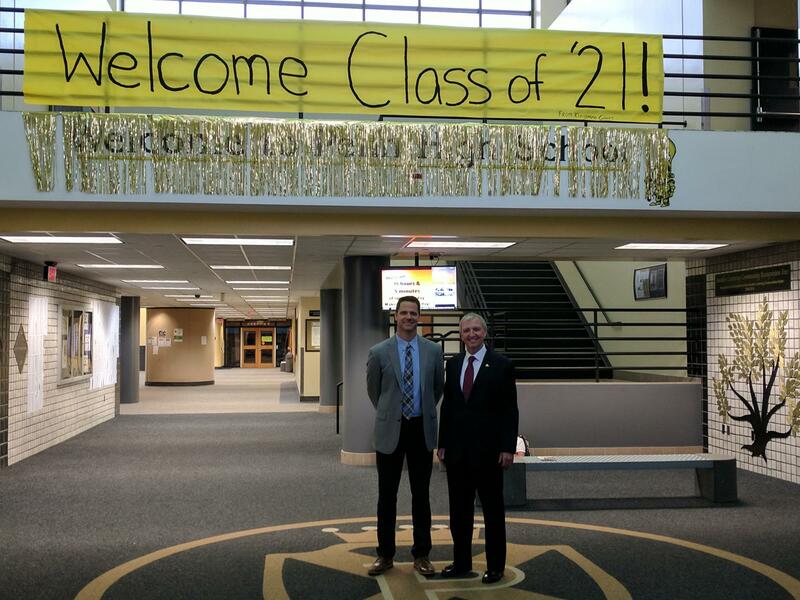 Horizon students weren’t the only ones to get a surprise when they arrived at school today. 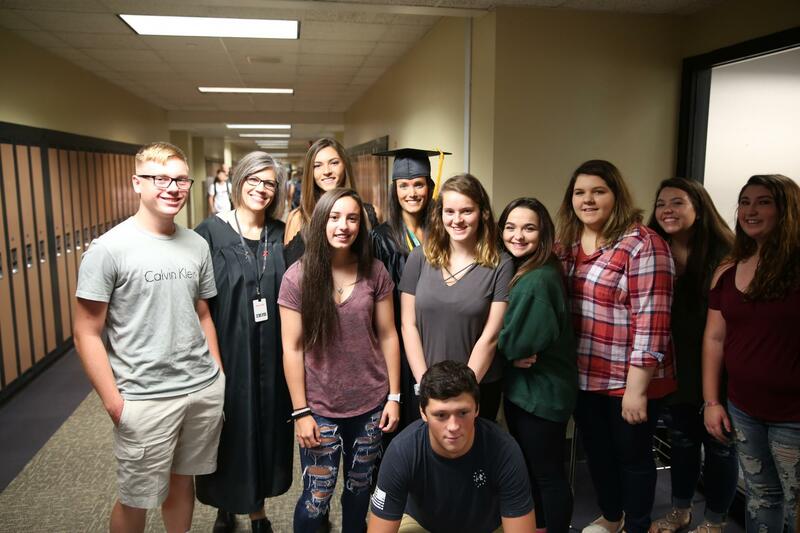 Back at Penn High School, Early College Academy staff dressed in caps and gowns to welcome the Early College Academy senior Class of 2018. 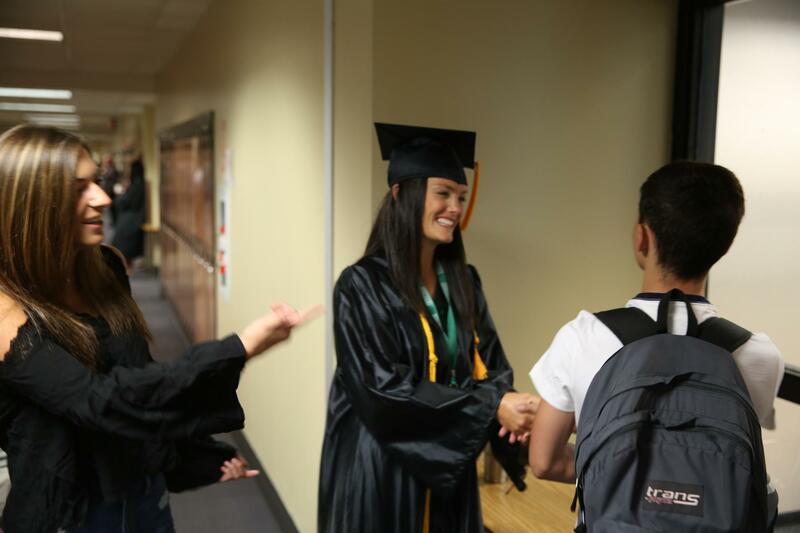 This spring the students will be Penn’s first graduating co-hort of the Early College Academy—graduating with both high school diplomas and college associate degrees! 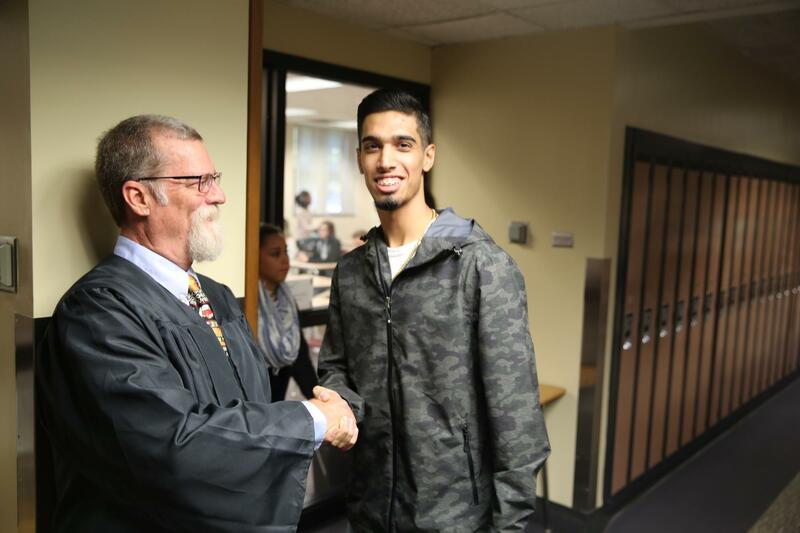 Quite an accomplishment and something to look forward to! 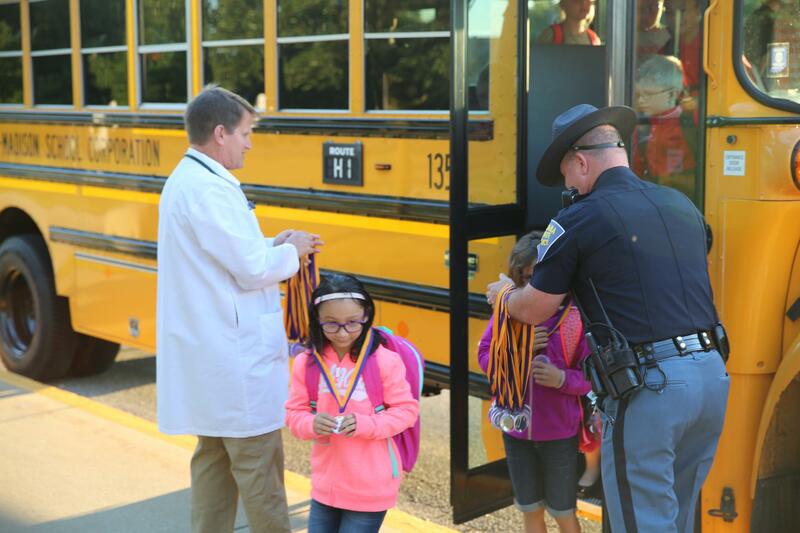 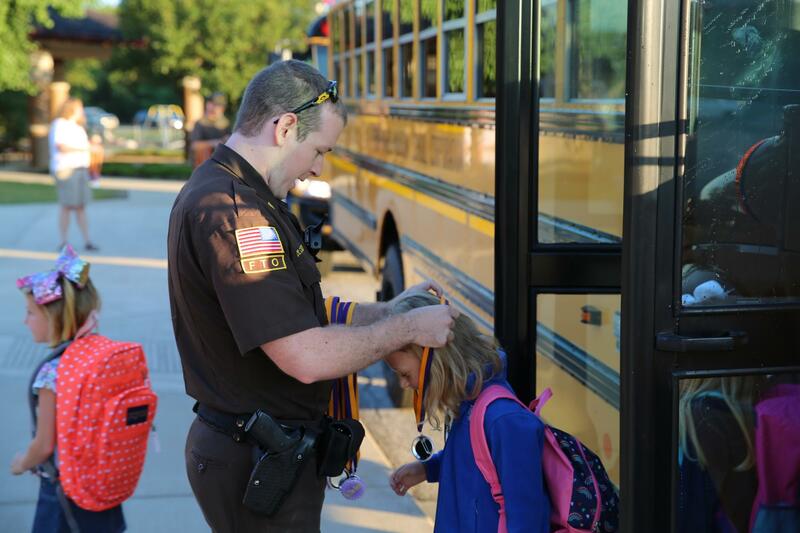 Thursday, August 24 is the first day back for kindergartners in P-H-M’s 11 elementary schools. 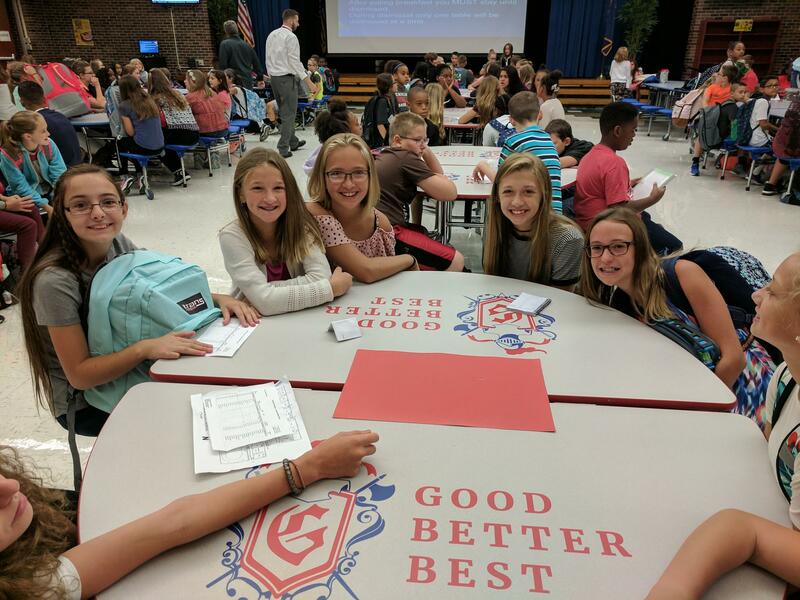 It’s going to be another amazing year of academic excellence in Penn-Haris0n-Madison this year! 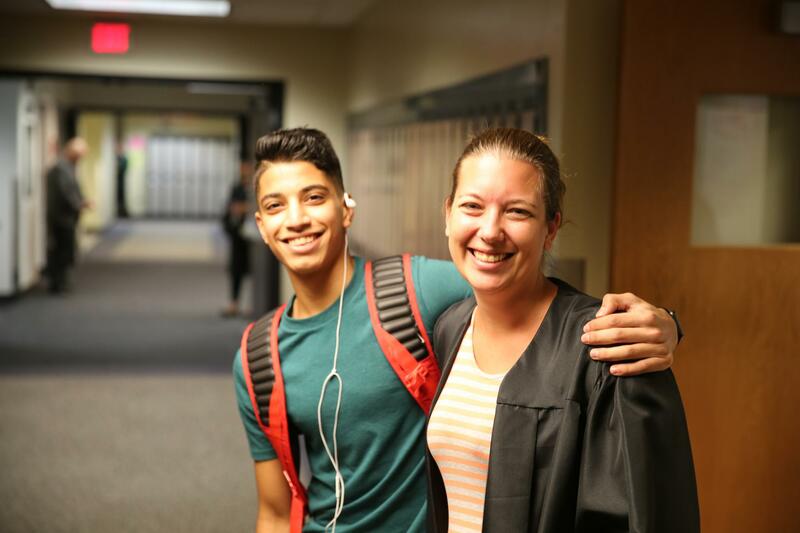 Be sure to follow #PHMExcellence to see all the amazing pictures, videos and stories throughout the year!